The 39 meter long passenger ferry Tawindo No. 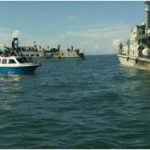 2 caught fire near Nunukan, Indonesia. The Tawindo No. 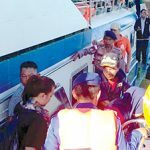 2 was en route to Tarakan City from Malaysia with 86 persons on board when a fire broke out in the vessel’s engine room. The crew responded and were able to extinguish the blaze by cutting off the fuel supply. No reports of injuries. While the extent of damage was not reported, the Tawindo No. 2 was reported to be disabled after the blaze. The vessel requested assistance with patrol vessels responding. 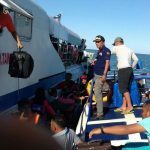 All passengers were safely transferred and taken to Tarakan City. Reports state the ferry was to be taken under tow back to port. Authorities have stated they will launch an investigation into the incident. 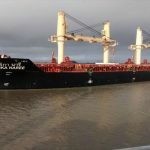 The 179 meter long, 30195 dwt bulk carrier Mallika Naree ran aground on the Elizabeth River off Norfolk, Virginia. 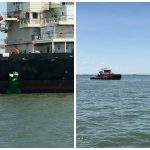 The bulk carrier was entering port when suffered a power blackout and veered out of the channel and struck a buoy. Multiple tugs were dispatched and pulled the Mallika Naree free a few hours later. No reports of injuries, damage or pollution released. The Coast Guard dispatched a helicopter to monitor the situation. 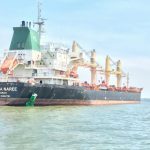 The Mallika Naree had arrived from France with a cargo of steel and cement. 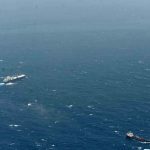 On June 26, the 99 meter long, 6764 dwt tanker Rama 2 sank in bad weather in the Gulf of Aden near Socotra Island, Yemen. 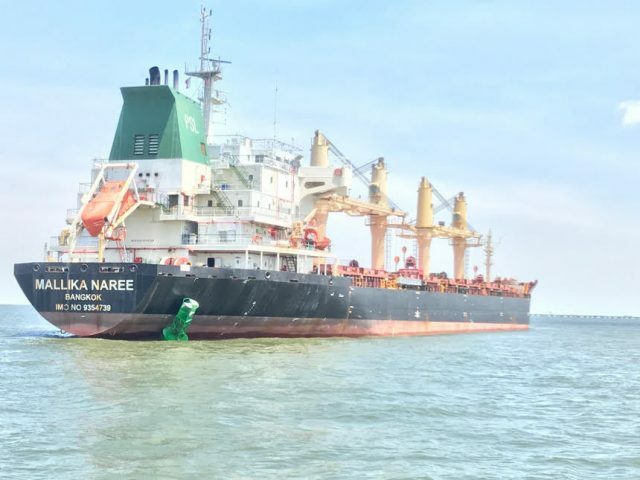 The Rama 2 was en route to Al Hamriya, UAE with 5500 tons of gasoline. While off Oman, weather conditions worsen with waves reaching 5 meters. 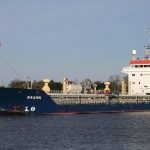 The tanker had suffered some structural failure and developed a heavy list to starboard. 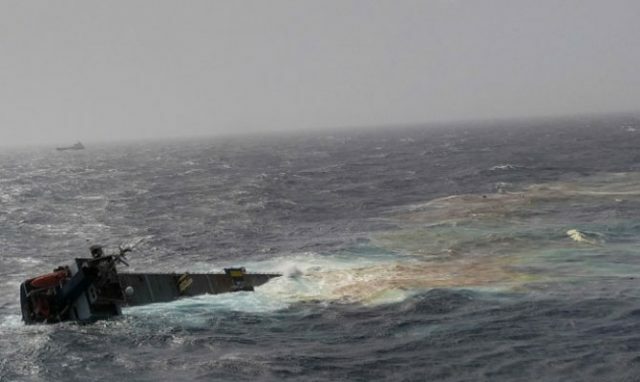 The crew sent out a distress call stating the Rama 2 was sinking and needed assistance. As the list increased, the crew attempted to abandon ship. However, the vessel’s lifeboat was unable to launch leaving the 14 crew to use the vessel’s life rafts. 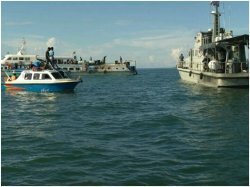 The distress call was relayed to the Combined Maritime Force which launched a search and rescue plan. 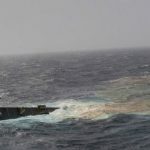 Multiple UK Naval ships and aircraft along with three commercial vessels tanker MTM Tortola, LNG tanker Soyo and tanker Sea Power assisted in the operation. The MTM Tortola arrived on scene and was able to rescue 10 crew from the water. 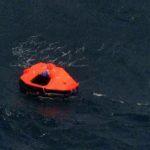 Two more crew were rescued by the Sea Power. The remaining two crew were still missing. One was spotted by aircraft and later hoisted to safety by a UK helicopter. The remaining crewman could not be recovered and was reported to be deceased. Reports state there was a large oil slick where the Rama 2 had sunk, but the heavy seas was dispersing the pollution.